Lophophora Fricii is a rare globular cactus that was first collected in 1931. It grows around Viesca in Coahuila, Mexico and may possibly be referred to as lophophora sp. var Viesca. Lophophora fricii is often classified as an independent species, although some see it as a subspecies of l. diffusa. But classification as an independent species does seem appropriate when you consider that fricii does not accept the pollen of any other species. The seeds of the two species are very similar, although flower color tends to differ. Native populations tend to exist in very separate areas as well. Fricii is typically characterized as having a grayish skin with red to dark pink flowers. Freshly harvested seeds. Stock depends on plants production, only the most fresh seeds available for sale to guarantee the best germiantion rate. We make test very often to propose seeds that are at least 90% germination rate. Our always fresh seeds come from our own private cactus facility and are fresh harvest from this past fall. 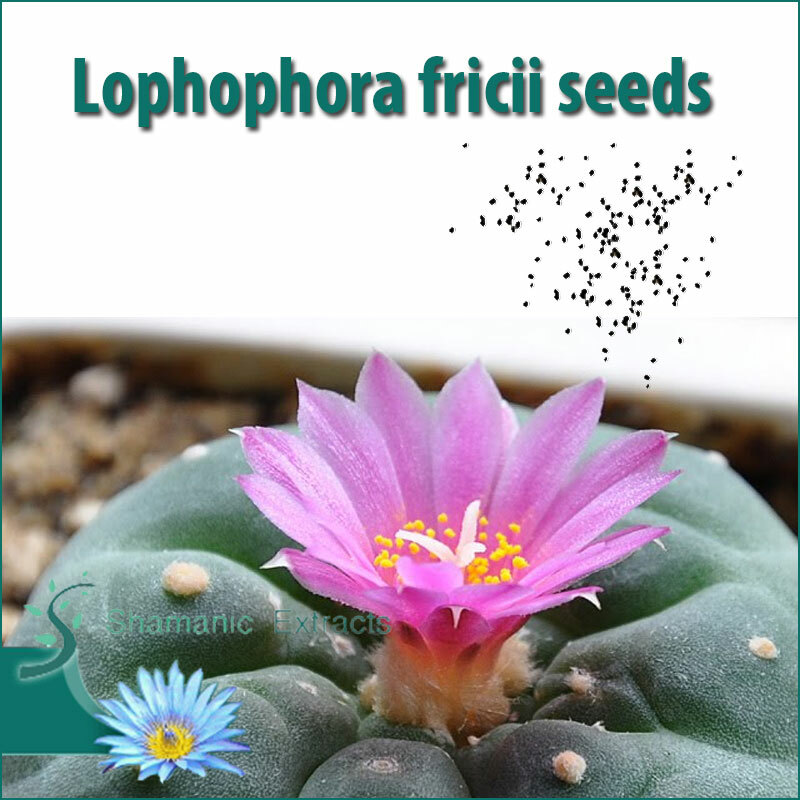 Share your experience about Lophophora fricii seeds with other customers. Submit your tips or thought on this product, be detailed and specific.